Display mascot character Pronama-chan of Programming Live Program (pronama.jp) as the background of text editor. 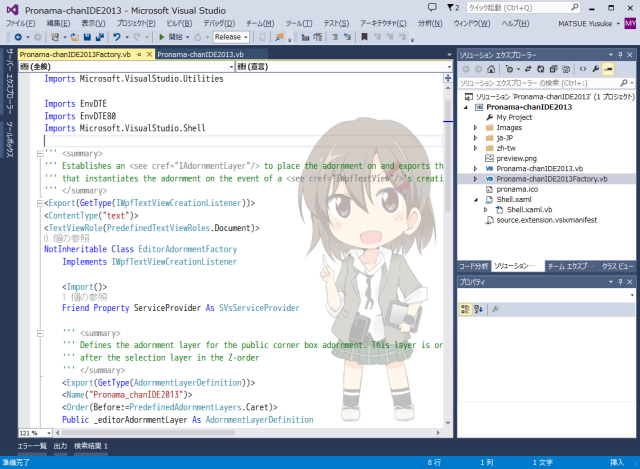 Display Pronama-chan(KUREI Kei) as the background of text editor in Visual Studio 2019. Pronama-chan is a mascot character of pronama.jp. Programing Live Program (pronama.jp) is a technorogy community in Japan. She expression change when build is success or failed! You can download Pronama-chan's sytem voice for Visual Studio. Check it out! You can change the height and opacity by USER environment variables. 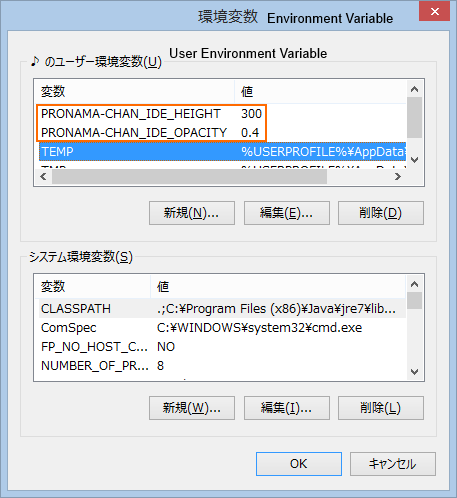 Pronama-chan IDE for Visual Studio 2013/2015/2017 is here.